Hello Friends, I have started atishranjan.com for sharing whatever I like to. Before I start my story about how I came into online world of Blogging, I would like to introduce you to my early life. I was born in Sitamarhi District of Bihar state (India). 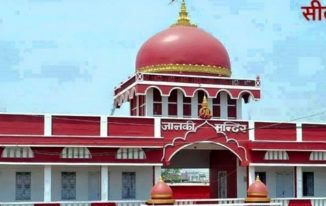 Sitamarhi is well known for being the birth place of Mata Sita. My studies started there only. I have passed out Matriculation (10th standard) from M.P. high School (Sitamarhi) in 2004. After Completing 10th I thought to move to New Delhi (Capital of India). My brother was already in Delhi so I had not got issues and I moved to Delhi then took Admission in 11th Standard and There I completed 11th and then 12th with Science Stream. It was 2006 when I was ready to enroll for Bachelors Degree. I chose BCA as I was having a great interest in computers. Hence I completed BCA in 2009 from IGNOU. I couldn’t choose regular College because I had to overcome the financial crisis which I was facing and to overcome that I used to give home tuition in the day time. I thought to study MCA but conditions didn’t allow me to pursue the same. I started searching for any kind of job which resulted into 2-3 computer jobs that I left just after short period of time. That time I had started managing my friend Durgesh’s Forum because I did enjoy doing that. In that forum I used to moderate posts, reply to queries and all. One day I got a question from Zainil, I replied to him and gradually we became friends. Meanwhile I was having a blogspot blog with no content. One day, while discussing something Zainil gave an idea about starting a blog where we can share some tips and tricks. I liked the idea and even he was ready to contribute. There started the journey, I started with atishranjan.blogspot.com but zainil said it should have a techie name. Then after full night of brainstorming I changed the url to techtricksworld.blogspot.com which Zainil Liked very much. It was June month of the year 2010. We started sharing tips and tricks on regular basis without having any knowledge of SEO and monetization. But I used to browse other blogs and leave comments on them which started giving benefit in terms of traffic and a little bit recognition among fellow bloggers. Later we heard about adsense and we just applied in the 3rd month which was rejected by Google and we again applied after 5 months and it was approved within a week. We were very happy and we started thinking for making money too but the traffic was still not so good. Later all most after an year I thought to get own domain only and host on blogger but my friend Durgesh said that one.com is offering most affordable domain hosting then why are you going to spend 10 USD for a domain while you are getting domain+hosting just at 13 USD for the very first year. I agreed that and he booked domain+hosting as I was not having CC or Visa debit card which is accepted by one.com. I made the payment to him via bank transfer. The date on which techtricksworld.blogspot.com had been moved to techtricksworld.com, was 10th may 2011 and it was the real start of my blogging career. Me and Zainil worked very hard on it and in the first PR update we got nothing but in the next update which was happened around 6 months after we did blogger to wordpress migration, we got Page Rank 4 for techtricksworld. 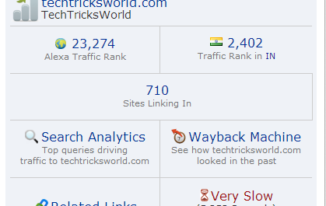 In those days, having good PR gives your blog a great value and TechTricksWorld.com became zero to hero in no time. Traffic, earning, recognition everything started coming. It was the turning point of my life. Later my passion turned into a business and I have multiplied the number of blogs with Zainil to earn good revenue. This business is successful because I am still having passion for blogging and I believe where there is passion, success is guaranteed sooner or later. One thing I forgot to tell you that when It was on blogspot I used to practice the on page SEO on it as I read about SEO somewhere and the best thing happened was I got an interview call for the same which I cracked in the very first attempt. This way my blogging hobby helped me start career in SEO. TechTricksWorld.com, 2012onwards.com, Stoogles.com, Litabi.com, and there are many other blogs. I hope I didn’t bore you by writing my full story here. Hope you liked it. Share your views via comments. I love to hear something from your side. That 0 to 4 PR is Just your and Zainil’s Hardwork and dedication for TTW which touches the heights in no time! Even, Till today TTW is Rocking With PR4 and all just because both of yours Hard work and love towards blogging. Even My blog is hosted on one.com and Thanks to you for all the process and introducing me to that hosting company! Thanks Sugandha for the very first comment on my very first blog post on this personal site. Yea hard work pays off always. It’s a pleasure to comment 1st! Thanks for stopping by Rohit. please give one artice about to start blogging step by step. i will very thankfull for that . i am zero in blogging world, please help me to start blogging. Okay bro very soon I will write. Thanks for dropping by. Yea bro. Will write soon! Your Story Is really Very Nice. I am Very Happy to Know About you. In this Story You Shared Many Persnl. Info Thanks…. to Share your Story. Yea Siddharth, As its personal blog basicaly you will find many personal thing about me. 🙂 Thanks for dropping by. My hearty congrats for your new personal blog and wishing it to grow fast. We became friends last October (2012) through Facebook and now a year crossed. I got good online presence and reputation because of your great support and encouragement. I started to love blogging and learned lot of useful stuffs from you. With your great help, I founded Mymagicfundas and now it is performing well. I used to share your great qualities with my friends & family and feeling good that even the name of my blog was selected by you. Seriously, my blog seems a good place to show some magic fundas for my readers. I think that “Blogging is not possible for me without you” and thanks for your guidance. I wanna write more about you, will continue it in the upcoming days. I wish you should achieve more in the Blogosphere with your unique qualities and am always here to support your blogs by bringing new readers to it. Need your support always and it is really nice to be with you as a blogging friend. Thanks For your kind words Nirmala. Keep coming. Thank you Sahil for stopping by and leaving your comment. I am glad that you got some inspiration from this post. I’m watching your blogging journey from when you have started “TechTricksWorld Blogspot Blog on blogger. Even I was impressed by the offer of One.com.. and I want to say I love you.. You are really a great man on the earth. you make be believe that there is good people also living world. you are just like real brother to me… I love you both Sugandha and you Atish bro..
And I forget to mention that We born on same date… it is really honor to me that I met the person who is born on same date I born on this earth.. I have some suggestion for you life journey. 2. Take Care of yourself and other too.. even your blog also. just i have these thing to say… keep in mind and I forget to give bonus: http://www.grewlife.com , read it if you love it.. I love you to brother. Thanks for stopping by and I will surely take your suggestions seriously. #2, #3, #4 I am already doing. You might not see me learning many things online but I always keep on learning at office or offline readings etc. Obviously will check out your blog and I think I have visited and commented already many times. Thanks bro. #1. I mean to say, creativity, experiment. innovation things..
#5.. The thing you want, you should give. I’m just started to learning. not sure about when you give, you will get back what you give. The “seriously” word you have used above comment may not be good for me but it will always be good or you. about #5, I am already a believer of doing hard work smartly and forget about the results. Passion, consistency and hard work lets the the good result coming. Thanks bro. Thanks vab for the love and I’m blessed with both of your’s love..
Its great to have a friend like you! Actually Companies reject distance learning students because of less practicals. I think somehow they are right but not all students are same. Few students do hard work and perform even better than regular students. Recruitment should always based on talent not on the basis of where they studied. You are right! but everyone focus on the college! Your story is really motivational and I’m really glad that I’m reading your story and I know you because of Suggi di. You’re really a great guy and Suggi di always talks about you. Good to see you here Little sis. Keep reading online it makes you a good reader as well as a good writer when you want to write. you know bhai, ye mujhe boli ki maine sabse pehle read kiya aapka post..
It’s always good to hear someone else’s story and how they got into blogging and what they’re doing. Wow, you sure do have a lot of blogs but if you have them mainly for making money they I can see why. Glad you’re doing so well and that Zainil has been such a big help. See, just meeting people online and building those relationships, we never know where it will lead. Thanks Adrienne for stopping by and dropping your comment here on my personal blog. Glad you liked it. Not all the blogs are for money making. Blogging is my passion as well as my earning source so I have few blogs just for money making and few where I love to share and connect with all of the great bloggers like you and even I started this blog just because I wanted to share something I like which is not for money making purpose. You are right sometimes meeting with people online turns into great relationship. Zainil is more than a friend and partner, He is like my bro. Very Nice. Mostly all the bloggers started the same way. This will inspire the new bloggers. Great Journey Bhai, Another example of Hardwork always gives success..
Congrats on you success as a blogger, glad to see this new personal blog. If there is someone who knows more about you other than Zainil , I guess it must be me. I was your one of the first blogger friend and I remember how passionate you were, you had a fire in you and a love for helping people. Just like your name Atish which means Fire and Bro you have brought fire and light in a lot of blogger’s life. Thank Imran bhai. Yes I remember we became friends when TTW was on blogspot, we used to chat about blogging and all. You had started a blog sysmatters on blogspot too but you didn’t work on that regularly because of your studies might be. Even you took the same domain on self hosted later. I still remember the techphernalia forum where we used to discuss about C programming.. and then the gtalk chats.. and then the french blog which I had started, which inspired me, to inspire you, to pull you towards tech blogging..
Yea exactly. If I have not joined that forum then I would not be here in blogging. Thanks bro for being there always. Anytime. Thanks again for the mention. I have read this completely and it is really such a nice and wonderful story about your blogging career. I must say If you have passion then you can do anything in this world, even you can meet god and thst’s the thing you have shown here and making good money with blogs. Wishing you best for your future. Keep it up bro. Good work. Thank you so much Avinash for dropping by, reading and commenting here. Yea passion should be there in every work you do in order to get success. Nice to know you better through your personal story, and yes – reading through it connects us much better to each other because this is exactly how relationships are build and they only become stronger when we share more about ourselves with everyone else, isn’t it? Yea the connection problems are too bad. Any way thank you so much for taking time to read and writing a thoughtful comment here. 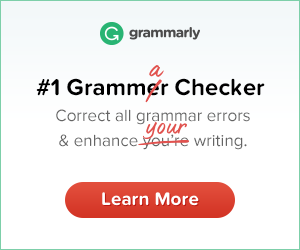 I agree that personally written blog posts lets you connect more with your reader. I still remember the days when we started becoming friends with my site analystcalls.in and after I did seo with your guidance we got amazing results. From that time onwards our journey in blogging continues. Good to hear in detail about how you entered into blogging. As usual you are the first one who pings me if I’m even little bit down and motivates me to get up again. 🙂 Lucky to have a understanding friend like you. Thanks Adithya for your comment. Thanks for sharing your inspiring story, Atish – it’s interesting to hear how you started out and how things snowballed once techtricksworld really took off. It’s great you found such a good partner in Zainil – you’ve obviously both worked very hard, for which you’re reaping the rewards. I still find it amazing that you got your site up to PR4 in such a short space of time – that’s an incredible achievement! I wish you every success with this and all your sites. Thank you so much Sue for stopping by. You know you are the first blogger in my list whom Post I read with full interest. :-). I read almost all the posts of writeclever. 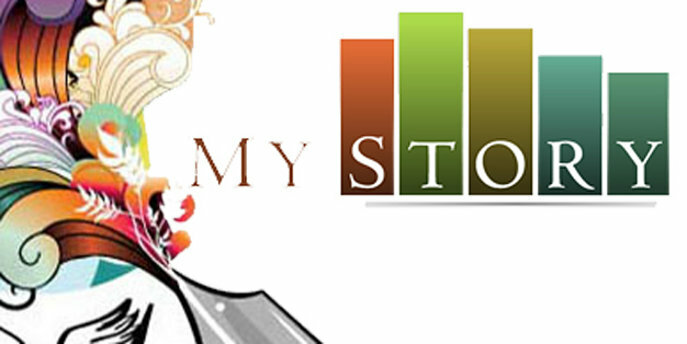 Your story is very inspiring and many bloggers can co-related with your story. It is all your hard work what pull you out from Sitamarih to world of blogging. You are doing great work, keep doing it and keep inspiring others. Good luck for you personal blog site. Thanks for your comment Mohit. We love to work with you and a big congratulations for getting a good job. thanks….thanks and thanks bro for sharing your complete and detailed story about – How you came to Blogging. there are only few people available who like to share their personal experience with all and you are one of them. you always share your thought and experience with us that inspires us a lot. i personally feeling very inspiring. thanks again Atish..!! Congrats on your blogging success ! and go ahead ! happy to know about you ! You words will motivate new bloggers too. I love reading personal stories like this one. You’ve certainly come a long way and I can see why you have found success. You are surely an inspiration to others that if you have a passion go for it. Work hard and keep a positive spirit. Hey Liz, Great to have you here. I am working hard to achieve more. Thanks for the kind words and support. Atish, what an interesting story – thanks for sharing with us, inspiring to know you kept on trying until it worked. It’s great too that you formed relationships with other and how they helped with your success. Love the story and wish you continued success Atish! Your story is really inspiring and it shows the power of synergy. Your friend has been a great instrument to your success today and this is what friends should for. Thank you Chadrack. Yea friendship is one of the best relationship in this universe. You are the one person I look upto, not just because you are a great blogger But the fact that you are a self made man and still so humble and down to earth. Keep teaching us, How to touch the sky and still be grounded enough!! Thanks for being such a great support always. Thanks for your kind words Payal. Atish this is really very inspiring for all the blog lovers. I appreciate you for all the hard work you have put in work. Thanks Leena for the very kind words. 🙂 . Keep coming! Great story indeed Atish. Glad to know that how you started and how you are on the way to success. Keep writing such motivational post. Thanks Shaily for dropping your comment. I just love it when someone shares their story. You have done so well sharing yours and it’s motivating for anyone who reads it! Reading through, it was your patience and persistence that brought you to where you are now. I’m sure you are still growing and that is wonderful. Thanks Donna for stopping by. 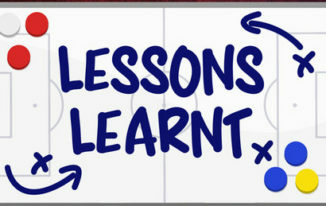 Learning is a continuous process and I am still learning and will be learning always! Thanks Jacs for coming by. Helping is great. I love to do it. Motivational post Atish. We have to set up some goals and try to achieve with dedication and hard work. Feeling motivated now. Thank you for sharing your story. I appreciate learning about you. I admire your dedication and determination to press beyond circumstances to create the life you want for yourself. Thanks William for commenting and welcome to my personal blog. Keep coming. I am not getting the words to express that how your above words have motivated me. But I think I got complete blog full of inspiration. Thank you for great words Shiv. keep visiting. Congratulations, you have really come a very long and one thing which is clear is that, success will be knocking at our door steps is we are willing to persevere like you and your friend did. Great story indeed Atish! Like others, I too love hearing how someone started a company or any startups, especially the successful people’s stories. Zainil Dedhia! I remember of giveaways at techtricksworld! Thanks Sriram for the encouraging words. Its just the started. A lot to do.. Life seems to be short to do all the stuffs I have planned! Heheh. Your story inspired me a lot.Thanks for sharing such a motivational story. I am glad to know your blogging journey. Thanks for sharing with us. Great Atish.. 🙂 A very inspiring and touching story..especially for a person like me who has just started out….! You are really inspirational.. Thanks Saikiran for your kind words. I am glad that you found it motivational. Keep up the good work! It is always inspiring to read your blogs… Keep sharing…. Its really a inspiring story. Thanks to share some of your experience with us. Have a great and bright future. Thanks for reading my story Naveen. Keep coming to my blog! Very inspirational story and the most positive thing is that you didn’t mention even single hurdle you faced in your early struggle and just mentioned the blessings and opportunities you got. This shows your mindset of remembering positive and forgetting the negative. Keep enjoying the wonderful field of blogging. Mi Muba recently posted…How to never fail in blogging with these 11 tips for success? Glad you liked my story. Hurdles are always something to teach and I take things positively. Yes, sharing older posts is good and that is why you noticed my story and came here reading and commenting. What a coincidence, I started with my first blogspot website at June of 2010, too! Then I went right away to self hosted WordPress blog just after 3 months. You are doing a fantastic job at TechTricksWorld, loving it! Thanks for sharing your story, Atish. Good to see you here Erik! Great to know that you and me started blogging in the same year wow! Thanks for your kind words! you are already a star over NPI and SM! Enjoyed reading your story. It takes a lot to get this far. I hope to see you posting your income reports (like other pro bloggers do) in the near feature for more inspiration. NO I won’t share income reports ever as I don’t believe in all this. This doesn’t motivate anyone but most of the newbies deviate from actual blogging and just run for money. I am not a pro-blogger yet! Income stuff is what I want to keep secret. I kind of go with you on this note; but I believe its not the case with all bloggers out there. Income reports help one figure out which monetization method is doing rounds in the current blogging scenario, thereby letting them choose the one that suits their case best. Not all blogger compromise on adding value to their readership while trying to churn money. But I don’t want to share income reports but lets see! Though I would like to share that if anyone want to make a full time money then he needs to have 1-2 very good blogs and few more with high stats like PR, DA because sponsored reviews, paid posts are great ways to make very good money. Other ways, like Adsense, Affiliate marketing are great too but that needs a great amount of traffic, Actually targeted traffic. Thus, you can blog in both ways so that dual earning source can be generated. Thanks for the discussion Preethi. Thanks for liking this Sachin. Keep doing the great work .I wish you all the best . Thanks for coming by. I am honored to have these words for me from you. Keep rocking. I am not getting the words to express that how your above words have motivated me. Thanks A lot for writing..